The site itself is somewhat unusual, taking up the old car dealership just off Highway 5. When I visited, the place was bustling with activity and construction. Tradesmen of various types came and went constantly, flitting about like busy worker bees. Bill and Gina frequently took calls, met people, and made sure things were running smoothly. Amongst this controlled chaos I received some cool background on this bold project! Given free reign to talk about his dream, Bill really had a lot to say. From his passionate and affable discussion I could tell that he was not just financially invested in this concept, but fully emotionally invested as well. Conceptually he has really taken on the mantle of pioneer and explorer from the distillery's (and our county's) namesake Jonathan Carver. He admits that opening a craft distillery in our state and our town is covering new ground and requires a lot of exploration and learning. Not put off by this, he is embracing the challenge and making it part of their mandate! Bill, a big fan of hospitality and the social aspect of drinking, remembers having cocktail parties for friends and teaching everyone about different drinks like Mojitos. He enjoys watching people learn about something new and plans to make this aspect a large part of their distillery plans. Probably the biggest thing J. 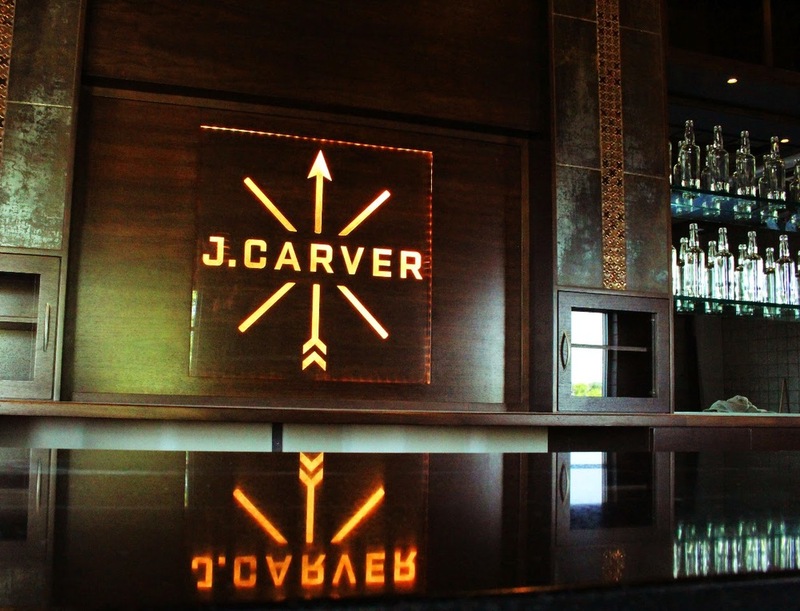 Carver is going to have to educate people on is just what exactly a distillery is! Coming from the craft beer and homebrewing world as I do, this seems like an easy one to me, but many people do not have that background and would like to know more. Now that the craft beer movement has finally taken off in Minnesota, many people assume that J. Carver is a brewery. Nope! Beers will usually only get up to about 15% alcohol by volume by natural fermentation by yeast. Taking a base fermented mash (made from barley, wheat, potato, corn, etc.) the distiller will then run this through a still. These are cool looking contraptions with coils and columns, usually made of copper. Alcohol has a lower evaporation point than water and turns to steam first, then condenses as it cools in the coils, collecting again as a more concentrated liquid as it runs through the still. The result is a much stronger (feel the burn!) alcohol product called a distilled spirit. While homebrewing beer has been legal since the 1970's (thanks Jimmy Carter! ), the distilling process has been highly regulated by the government since the repeal of Prohibition. Though people do still make bootleg hooch like Moonshine even in this day and age... As a result of this tougher regulation, J. Carver has had to wade through some very old and often conflicting laws in their quest to open their new small distillery. Luckily they have had a lot of support from our local state and city government and seem on track to open soon! What types of spirits are they planning to make? They have three different stills, each using a different method of distillation to create a different product. They plan on doing a good mix of vodka, bourbon, rye whiskey, gin, and some liqueurs. Their third still is much smaller than the other two and they plan to do many small and experimental batches with that one--embracing the pioneering aspect of "craft" to try new and interesting things. They have already been tossing around ideas for this last still and I am certainly intrigued to see what they decide to make! They may end up trying flavor infused spirits over time, but want to get their basic process down before they step too far outside their comfort zone. Bill also remarked that he enjoys the process of mixing a drink and having the flavors already in there takes out some of the fun and potentially the freshness of flavor. Why start a distillery in the small Western Suburb of Waconia? The basic answer is because most of the people involved live out here and didn't want to move or commute. I understand that! In addition to that, it sounds like our local town government has really embraced the idea and worked hard to keep this new small business in our town instead of moving to Minneapolis or St. Paul. When asked who would actually be doing the distilling, Bill told me that his brother Matt has had several years of experience working at the Catskill Distilling Company in upstate New York and will be the head distiller for J. Carver. They have also hired on another local Waconia fellow, Dan Niesen to help out with the process. Bill also told me that the whole group will work together to come up with ideas for spirits. The owners of J. Carver seem ready to embrace the nearby Waconia wineries and breweries as fellow travelers and hope that in time our town will be a destination for fermented and distilled beverage tourists. I'm already cracking my knuckles and laughing evilly thinking about the potential for wonderful collaborations between these local alcohol producers. There is still some question about how the distillery will be handling on site sales and tastings. They do hope to have some local visitor options to try the spirits they produce, but this process is somewhat of a Wild West situation and final decisions are still up in the air. I did get to see a beautiful dark wood bar under construction during my visit and have high hopes that they are able to use it to full effect! Based on this tour and interview with Bill and Gina I have a lot of respect for what they have planned for the J. Carver Distillery. I think they are coming from a place of true respect for the product and a desire to make a successful new business in the town of Waconia. I will try to get back in touch with them as things continue along and update my readers with new pictures and information as it becomes available. Thanks again to Bill and Gina for taking time out of their very busy day for me!